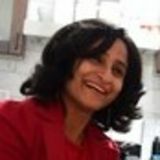 Want to connect with Pooja? Computer post graduate working in central govt job teaching 11 - 12 grade computer science for last 10 years and teaching 3- 10 grade with computers for last 15 years. Can teach maths to lower grades also . can help in getting homework done. Had masters degree in computer science along with bachelor degree of education . Had done various computer courses. Wonderful, helping, friendly and Personal Care Available . Assures best off the best.